presents an array of innovative ways credit unions are making mortgage loans to members. 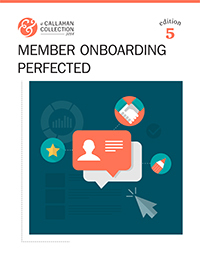 New member onboarding goes a long way in building lifelong members. When credit unions fail to take full advantage of these initial stages they miss out on the opportunity to develop the depth of relationship they would like. For those institutions that want to make the most of the honeymoon phase, this Callahan Collection showcases several strategies to welcome members and build fruitful relationships. Credit unions nationwide held $276.7 billion in first mortgages as of first quarter 2014, according to Peer-to-Peer analytics by Callahan & Associates. That’s nearly 42% of the entire portfolio. Mortgages comprise the largest compo¬nent of credit union lending, but new rules and regulations changing the mortgage landscape could change that. 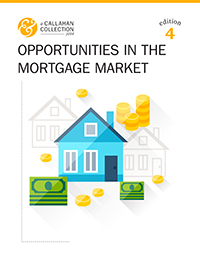 This Callahan Collection offers credit unions a discussion of the Ability-to-Repay Rule and Qualified Mortgage standards as well as presents four strategies to maximize the potential in the mortgage portfolio. As member-owned-and-operated institutions, credit unions exist to serve their members’ needs. 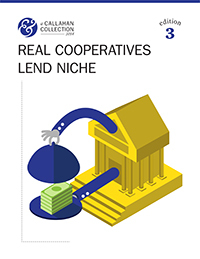 Cooperatives often can meet these needs through traditional lending products such as mortgages, auto loans, and credit cards. But when a specific member segment has an unmet need, specialized lending products go a long way in developing and retaining that member base. By satisfying the exceptional needs of members, credit unions can enhance not only that segment’s loyalty but also their propensity to refer other members. In this collection, we offer several examples of credit union niche loan products to serve as a model for institutions looking for additional ways to serve their membership. It's no secret that the brick-and-mortar branch location is not as prevalent as it once was, as online and mobile offerings have added convenience but moved a significant chunk of business to these channels. As such, credit unions continually look for value in their physical presence, knowing that a personal connection can still mean something. 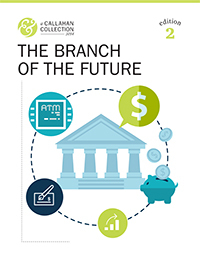 These seven articles attempt to paint a clearer picture of the future of branches and how credit unions can still find value. As technology rapidly advances and its role in the daily operations of credit union’s expands, institutions that fail to adapt to the shifting landscape and remain even with the curve may find themselves struggling to provide what will become basic but necessary member services. 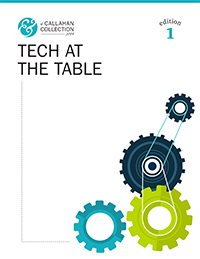 This collection features six articles that directly focus on aspects of technology: from insight on how to leverage an investment in innovation, to the role of technology in both internal and external operations such as online services, risk mitigation, predatory lending competition, or security management.